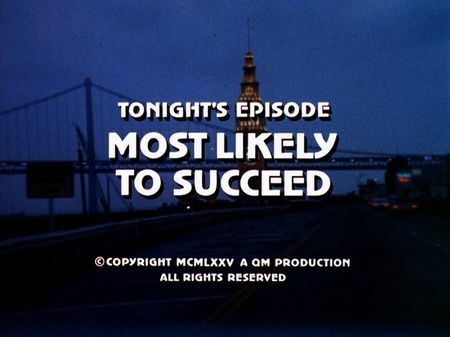 The screencaps for Most Likely to Succeed are now accessible on the episodes' page. A bright future's ahead of young Paul Kincaid, son of successful businessman Russell Kincaid, and top of his class at a prestigeous high school - until an 'F' in chemistry puts his envisioned admission to Harvard University at risk. Despite his desperate effort to convince Tom Hanna, his teacher in chemistry, to either change his grade or to grant him a deadline extension for a paper, he doesn't have much to offer as he already missed out a chance Hanna granted him before. When Hanna does not change the grade, Paul beats Hanna downin the heat of the moment, using a heavy trophy from Hanna's desk, and killing him. Although Paul is obviously shocked by what's happened, he is also taking a few private items - and tries to frame one of his co-students, Bobby Tilton, for the murder. He places Hanna's golden pen inside Tilton's locker when the latter is having a dispute with another co-student about his calling as a thief, offering the perfect case to Kincaid. In the meantime, Paul tries to play the perfect game for his family - and his demanding father in particular - but when Tilton is getting in touch with Paul concerning police investigation on the murder, everything is getting out of control. Bobby Tilton realizes Paul's rôle in the murder, and in another heat of the moment Paul throws Tilton down the cliff - although not killing him. Being confronted with double murder and Bobby still alive, Paul wacks out, first attacking his father with a sword, then trying to commit suicide. Steve, however, can prevent another death by talking to Paul who is going to jump down the steep coastline of the Marin Headlands. In a short moment of subconsciousness, Steve can grab Paul's body and put an end to the chain of unwilling murder. There's only a few locations used in this episode. The prestigious high school actually is Archbishop Riordan High School in Sunnyside, whereas the Kincaid house is located in Pacific Heights. Tom Hanna's house can be found on Potrero Hill, Tilton meets Paul at Lands End, and the climax takes us to the bunker just below Battery Spencer. This dramatic location was used before, precisely in season two episode Betrayed. 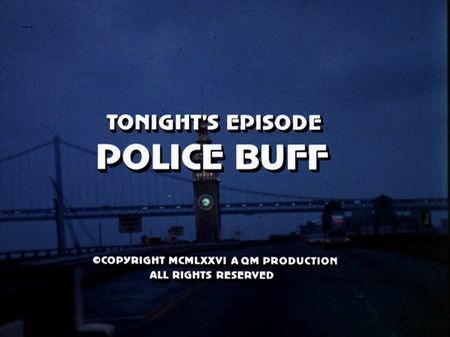 Interestingly, however, when Paul Kincaid gets off his car, he approaches the Bridge on its southern (San Francisco) pond, but then police finds him at the edge of the coastline on its northern (Marin County) side. 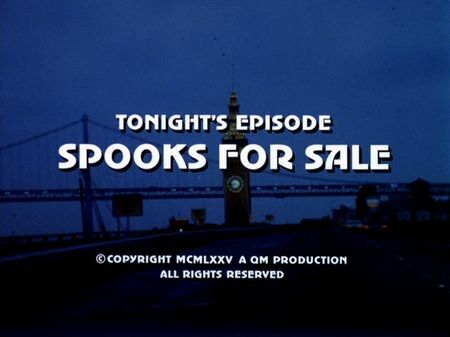 The screencaps for Spooks For Sale are now accessible on the episodes' page. Extended summary and filming locations info to follow soon. Richard Hatch dies at age of 71! As The Hollywood Reporter confirmed yesterday, actor Richard Hatch died on Tuesday, February 4th, after a battle with pancreatic cancer. He was 71. Hatch had replaced Michael Douglas for the fifth and final season of The Streets of San Francisco as Inspector Dan Robbins. He later played Captain Apollo in the original Battlestar Galactica TV series for which he received a Golden Globe nomination for 'Best Actor in a TV Series' in 1979. Happy New Year, my fellow Streets Fans!